NEW YORK Federal officials intend to lift the order grounding the beleaguered 787 Dreamliner after accepting Boeing's (BA) revamped battery system, even though the root cause of battery failures that led to a fire on one plane and smoke on another remains unknown. The Federal Aviation Administration said in a statement to CBS News Friday that next week, it will issue instructions to operators for making changes to the aircraft and publish the final directive in the Federal Register to return the 787 to service with the battery system modifications. "A team of FAA certification specialists observed rigorous tests we required Boeing to perform and devoted weeks to reviewing detailed analysis of the design changes to reach this decision," said FAA Administrator Michael Huerta in a statement to CBS News Friday. 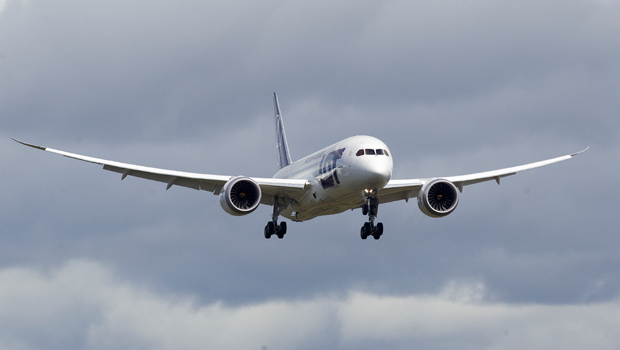 Dreamliner flights could resume within a week, according to the agency. Ray Conner, the CEO of Boeing Commercial Airplanes, acknowledged Friday that delayed deliveries and the grounding of its state-of-the-art aircraft haven't been easy on the plane maker's customers. "Our team has worked tirelessly to develop a comprehensive solution that fully satisfies the FAA and its global counterparts, our customers and our own high standards for safety and reliability," said Conner in a statement to CBS News. "This is a comprehensive and permanent solution with multiple layers of protection," said Conner. "The ultimate layer of protection is the new enclosure, which will ensure that even if a battery fails, there is no impact to the airplane and no possibility of fire. We have the right solution in hand, and we are ready to go." The FAA gave Boeing permission last month to test the revamped system, which includes additional insulation around each of the battery's eight cells to prevent a short circuit or fire in one of the cells from spreading to the others. The new system also includes enhanced venting of smoke and gas from inside the battery to outside the plane. A strengthened box to hold the battery is an effort to ensure that if a fire were to occur, it wouldn't escape to the rest of the plane. Boeing has completed 20 separate tests of the new system, Huerta told Congress earlier this week. The FAA's action directly affects United Airlines (UAL), which is the only U.S. airline with 787s in its fleet. But aviation authorities in other countries are expected to follow suit swiftly. Boeing had delivered 50 planes to eight airlines in seven countries when a fire erupted in a battery aboard a Japan Airlines 787 parked at Boston's Logan International Airport on Jan. 7. The FAA and other authorities grounded the entire fleet after a second incident nine days later led to an emergency landing by an All Nippon Airways 787 in Japan. Boeing has recently been readying replacement battery systems for installation in anticipation that the grounding order would soon be rescinded. "We are primarily bound by EASA decisions, and we need to have their permission to end the grounding," said Marek Klucinski, a spokesman for Polish national carrier LOT, referring to the European Aviation Safety Agency. "If the (Boeing) decision is today, we can expect a permission to fly in the middle of next week." LOT has two of the planes: One in Warsaw, and one that was en route to Chicago when the grounding order was issued and has remained there. The plane's grounding on Jan. 16, an enormous black eye for Boeing, marked the first time since 1979 that FAA had ordered every plane of a particular type to stay out of the air for safety reasons. UBS (UBS) analyst David Strauss estimated last month that the 787 will cost Boeing $6 billion this year. Besides the battery problems, the plane already costs more to build than it brings in from customers. United has six Dreamliners, plus another 44 on order. American and Delta have also ordered 787s. Boeing has orders for more than 800 of the planes from airlines around the globe. The 787 has two identical lithium-ion batteries, one of which is located toward the front of the plane and powers cockpit electrical systems, the other toward the rear and used to start an auxiliary power unit while the plane is on the ground, among other functions. It was the battery toward the rear that caught fire and gushed smoke on the plane in Boston, which had recently landed after an overseas flight. It was the other battery toward the front that failed on the plane in Japan. Every item that is part of an airplane, down to its nuts and bolts, must be certified as safe before FAA approves that type of plane as safe for flight. The two events have raised questions about why the FAA and Boeing didn't uncover problems with the batteries before the FAA certified the plane as safe for flight in 2011. In recent years, the FAA has relied to a greater extent on designated employees of aircraft makers to conduct the safety testing necessary of certification. Some aviation safety experts have questioned whether FAA has the in-house expertise to oversee the safety of cutting-edge technologies that haven't been in planes before. Lithium batteries are much more likely to experience uncontrolled high temperatures that can lead to fires if they are damaged, exposed to excessive heat, overcharged or have manufacturing flaws. Despite their safety risks, they are increasingly attractive to aircraft makers as a way to cut weight and thus improve fuel efficiency. The National Transportation Safety Board is investigating the Boston battery fire and the process by which the FAA certified the 787's batteries were certified as safe. The board has scheduled a two-day hearing beginning Tuesday at which FAA and Boeing officials are slated to testify. NTSB officials have said the Boston battery fire began with a short circuit in one of the battery's eight cells, leading to uncontrolled temperatures and short-circuits in the rest of the battery's cells. Firefighters who responded to the incident reported dense clouds of white smoke and two small flames on the outside of the box that contained the battery cells.